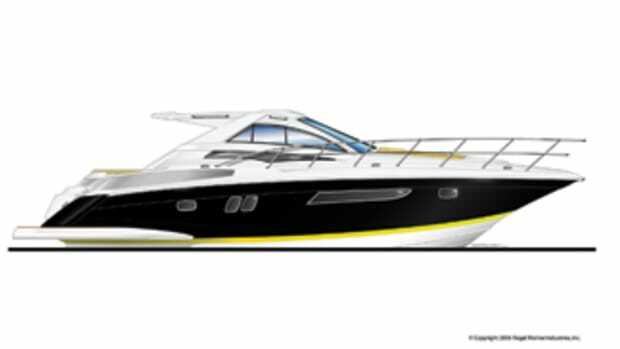 In an industry where every nuance of a hull form is hyped as the greatest innovation since the pointed bow, it&apos;s a rare pleasure to witness the introduction of a concept that truly is a departure from the norm. 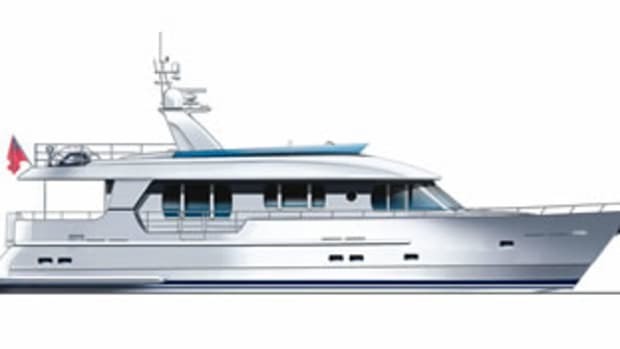 And it&apos;s even more so when the design concept promises to deliver the naval architect&apos;s Holy Grail: efficiency and seakindliness with minimum noise and vibration. 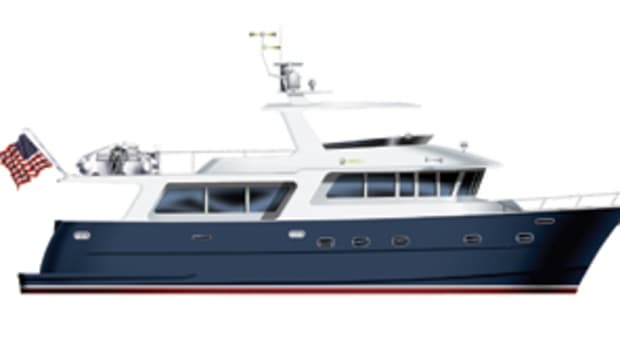 At the heart of this concept is a hull form commonly called a SWATH, or Small Waterplane Area Twin Hull. 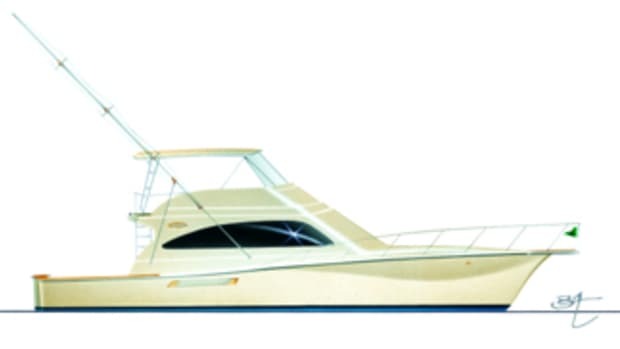 Like a catamaran, a SWATH has two hulls connected by a cross-deck well above the waterline. But the similarity ends there. In cross-section the hulls are cylindrical, like submerged torpedoes, to bore through the water with minimum resistance. 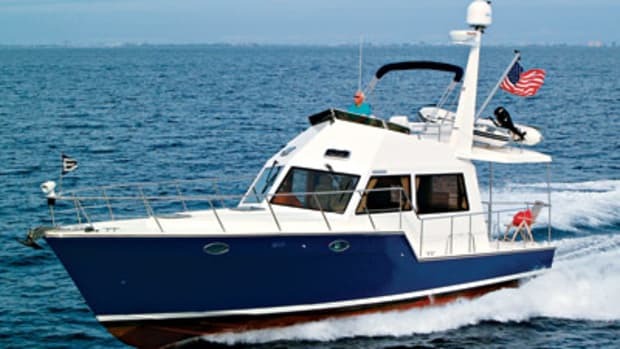 And connecting the hulls to the cross-deck is a pair of narrow vertical struts that produce a small waterplane area, minimizing the heave and pitch forces that result from waves acting on the hull. By positioning the buoyant volume of the hull beneath the surface, the SWATH delivers an inherently smooth ride and superior efficiency. SWATH has been around a while, but mainly in the military and/or commercial sectors. 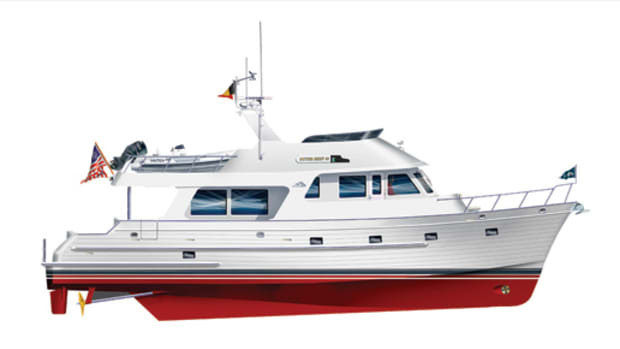 By the end of the year, Abeking & Rasmussen will have delivered ten SWATH ships for use in the North Sea as pilot boats and the like. 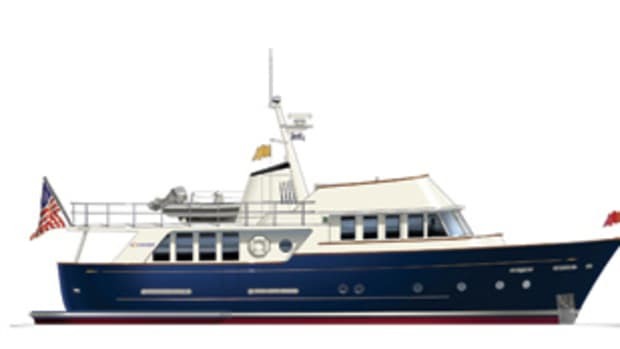 But with its 40-meter (133-foot) design, the German yard brings it into the recreational sector. 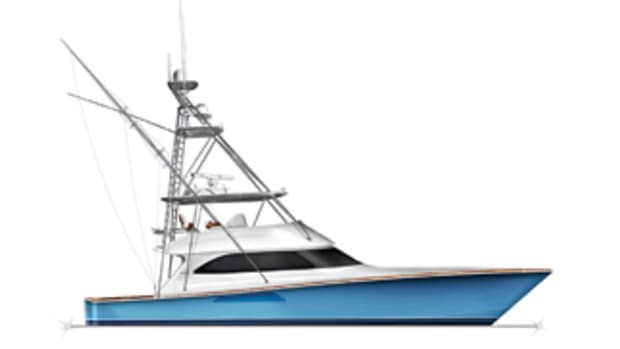 This could transform the megayacht industry, because the design offers even more enticing benefits. 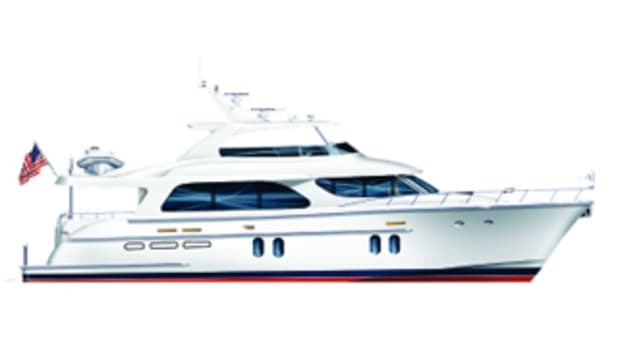 Virtually all luxury yacht builders want to eliminate noise and vibration. Usually this is an enormous undertaking that entails a laundry list of expensive construction techniques for insulation and isolation. But the SWATH engines and other machinery can be located down in the lower hulls, deep beneath the surface and virtually isolated from the accommodation areas. A SWATH also offers enormous deck area and interior volume in proportion to length. But this otherwise-significant advantage pales in comparison to the other benefits. For more information on Abeking & Rasmussen, including contact information, click here.